Hi friends! Guess what?! I wrote a book! 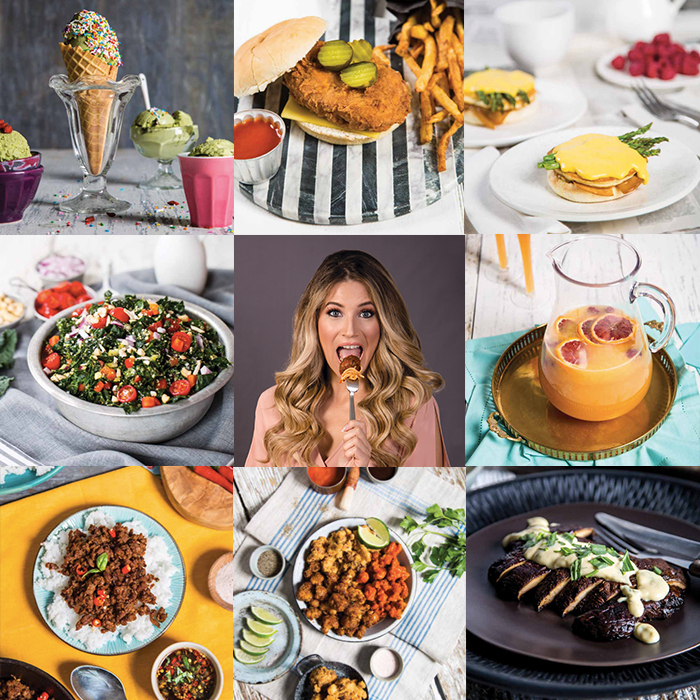 The “Edgy Veg Cookbook: 138 Carnivore-Approved Vegan Recipes” is available now and we’re sooooooo excited (you should be too)! I’ve been working on this for months in secret (which is why you may have seen a bit less activity on here and our YouTube channel) and I can’t wait for you to grab a copy!!! If you’re like me, you might be tired of the traditional plant-based diet that just feel frankly #sad. SO! Get ready for childhood cravings, fast food faves and food-nerd obsessions! The pages of this book are filled with my favorite recipes that include, UnOrthodox Lox and Cream Cheese Bagels, Cobb Your Enthusiasm Salad, Buffalo Cauliflower Wings 7 Ways, Easy Cheesy Fondue, Chick-Fillet Deluxe and Thank You Very Matcha Ice Cream. So put down that spiralizer (fear not, there is a token kale salad), and arm yourself with our 138 carnivore-approved vegan recipes that even your burger-slinging boyfriend will love. 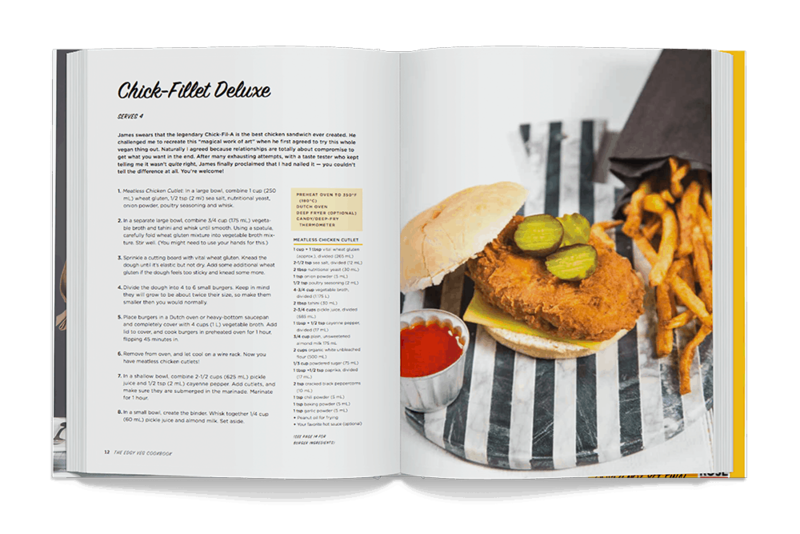 The Edgy Veg cookbook is distributed globally, so look out for it in your local bookstore (and tag me if you see it @edgyveg ! ), but if you can’t find it there, or on your country’s Amazon store, you can order directly from Firefly customer service at [email protected] or +1-416-499-8412. We cover everything from basics, munchies, and mains to dessert, smoothies and cocktails. You didn’t think we’d leave you thirsty did you? …and more dad jokes than you can count! There’s so matcha going on between these pages… see we just can’t help it! Our book is in stores now, so purchase your copy today wherever you love getting your books from. Click below to your copy right away from one of our book partners! Isn’t that pho-nomenal?! Follow us on Instagram ( @edgyveg ) to get a sneak peak of the recipes, and behind the scenes shots from our photoshoots. “Best Vegan Cookbook in My Collection. Want to get your book signed by The Edgy Veg? Have a burning question you want answered, or a tip you want to share? Have an insatiable appetite and just can’t get enough Edgy Veg in your diet? The Edgy Veg will be on tour and will probably be in your city soon! We’re also going to be on radio shows, morning shows and live streams. Check out the full list of events here, and don’t forget to come out and say hi! Don’t forget to tag with your creations from the book with #edgyvegcookbook on Instagram – we love to see what you come up with!